Zombies aware can detect the blood of our Minecraft character. Zombie Awareness 1.7.10 and 1.7.2 is a mod that will serve as a complement to our survival in Minecraft, a challenge larger. This mod is responsible for making bleed our Minecraft character, our health every time down from 60% of total life of our character. Although it’s not just an aesthetic effect. The blood drop our character when wounded attract the zombies of our surroundings, that is, if we are at a distance that usually do not would attract a zombie, blood of our character will detect us and directed all to us. 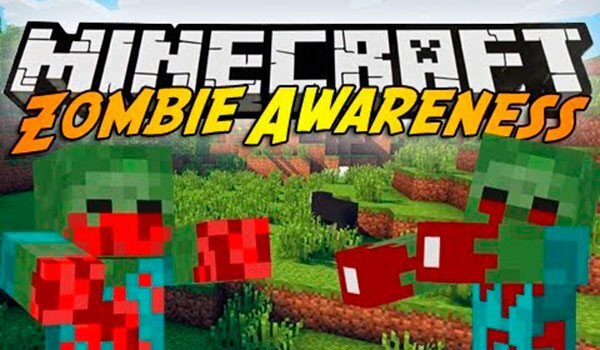 How to install Zombie Awareness Mod for Minecraft 1.7.10 and 1.7.2? Avoid bleeding or zombies come for you!